For frequent use with heat based straightening tools. Its high keratin content leaves hair shinier and more manageable. 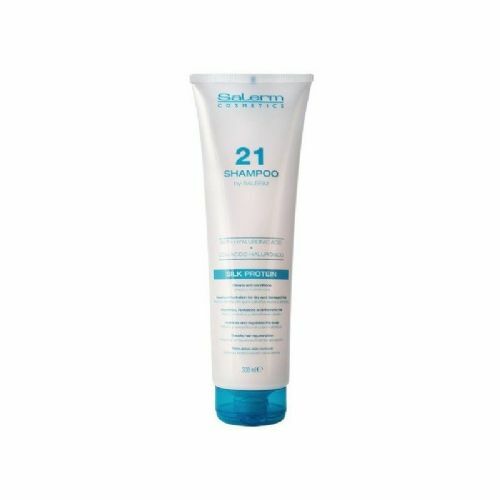 USE: Wash hair with a Salerm Cosmetics Shampoo such as Hi Repair or Protein Shampoo and rinse. 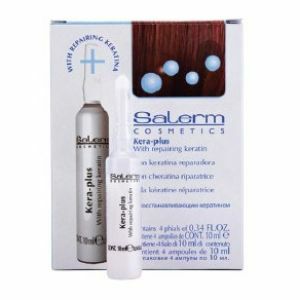 Apply the contents of one full Kera Plus vial to damp hair focusing on the hair's mid-lengths and ends. Leave in, then blow dry or iron as normal.